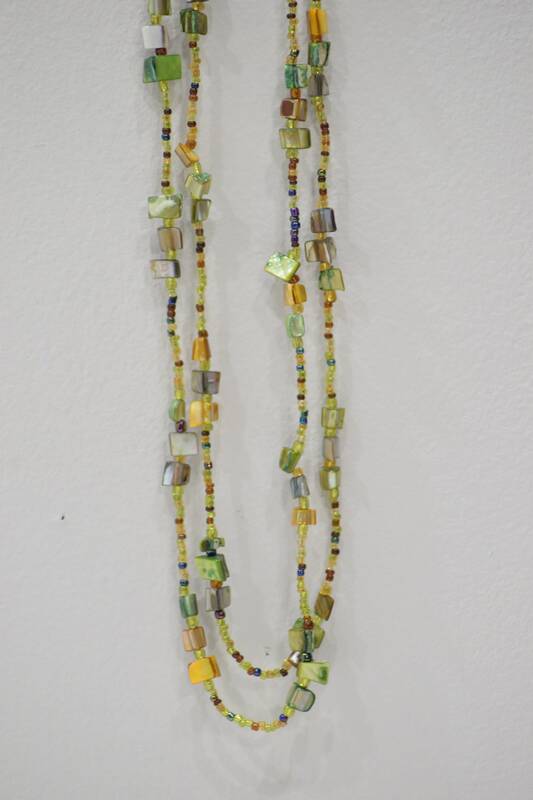 This is a wonderful Dyed Mother of Pearl and Colored Brown and Gold Small Round Beaded Necklace. A truly a wonderful necklace that will compliment any outfit and is lightweight and comfortable to wear. 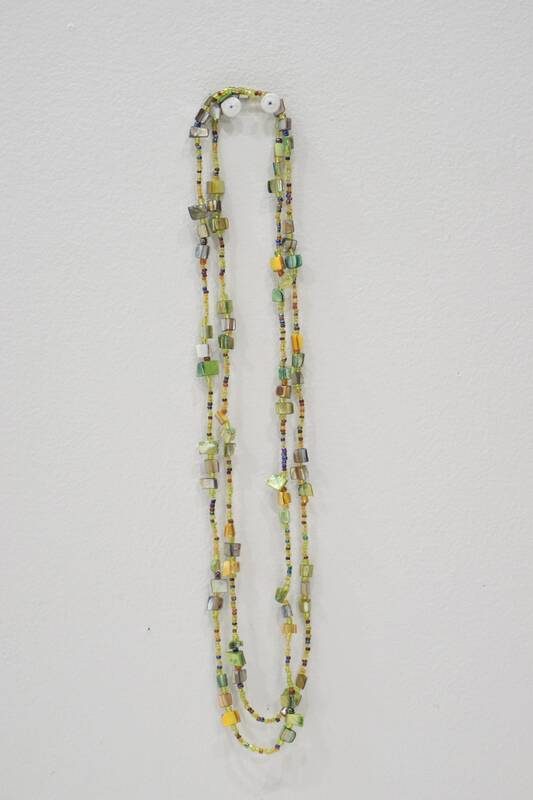 This necklace can be worn across the body or wrapped around to make a double strand. A great gift to give for all occasions.